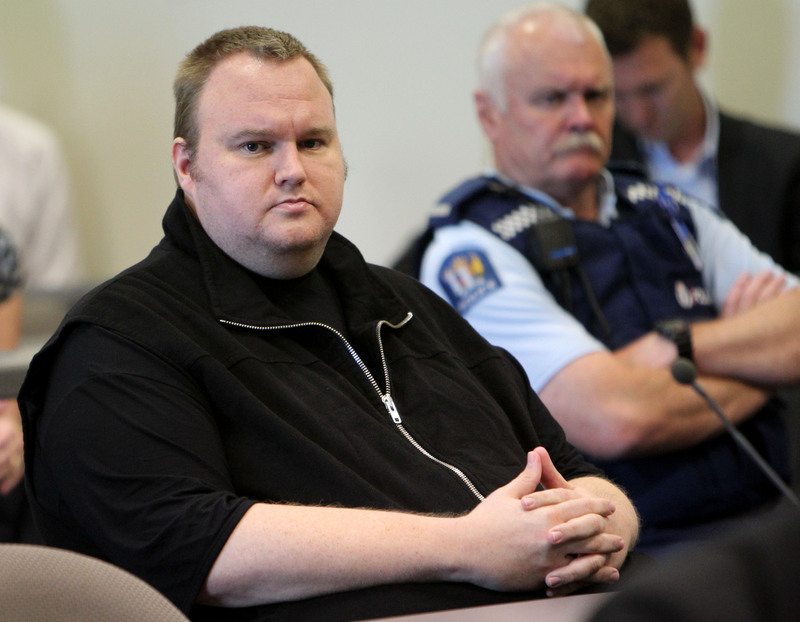 We’ve known for some time that Kim Dotcom’s second coming will happen very soon but now the New Zealand-based Megaupload founder has confirmed that he will launch his new venture on January 20 2013. For those of you that don’t remember, that’s exactly one year after his mansion was raided by police. ANNOUNCEMENT: The new Mega will launch exactly 1 year after the raid with a #MansionPressConference & #DoomsdayLaunchButton. Dotcom has hinted that the new Megaupload torrent site will be available before the end of the year — developers were offered early access to the project last month — while another new service, music-focused Megabox, is thought to be launching within the same timeframe. Now, however, it looks like the launch will slide into 2013. Taking to Twitter, as he often does, Dotcom recently teased details of Megabox with a video that appeared to feature a number of top artists, including Black Eyed Peas artist Will.I.Am. The German had previously said that the service had secured a number of top artists on exclusive deals. At the height of its popularity, Megaupload drew 50 million visitors per day and enjoyed the support of a number of high-profile figures within the US music industry, but all of that changed when the Department of Justice took the site down in January 2012 for what it described as the largest copyright investigation ever. The raid on the mansion — footage of which surfaced in August— caused much controversy. Authorities were accused of acting heavy-handedly and, to that point, a helicopter packed with members of the ‘Elite Special Tactics Group’ was used for the raid. Seconds after the helicopter touched down, ground forces arrived in numbers. According to local news stations, it took 13 minutes for the police to find Dotcom in the ‘Red Room’ of his mansion. Dotcom testified that he was punched, kicked, kneed and otherwise treated unfairly during his arrest, while an unnamed elite police officer reportedly testified that “deliberate force” was applied to Dotcom. The raid aside, the investigation has suffered a number of high profile issues. Authorities suffered a significant blow in June when the New Zealand high court ruled that search warrants for the raid were invalid. Last month, New Zealand Prime Minister John Key ordered an inquiry into claims that the Government Communications Security Bureau (GCSB) unlawfully spied on the Megaupload founder. Given his issues with the US government, Dotcom may well take a leave from The Pirate Bay, which recently migrated its popular torrenting service into the cloud – making it virtually untouchable by authorities. The US government recently made a move to close down Megaupload forever when it rejected the Hong Kong-registered company’s appeal against a criminal indictment, as TorrentFreak reports. The Dotcom extradition hearing is set to take place in March 2013. The date was rescheduled from August 2012 following a series of issues relating to the way that police has handled the case.